Our award-winning garden provides hands-on learning opportunities inside and outside. 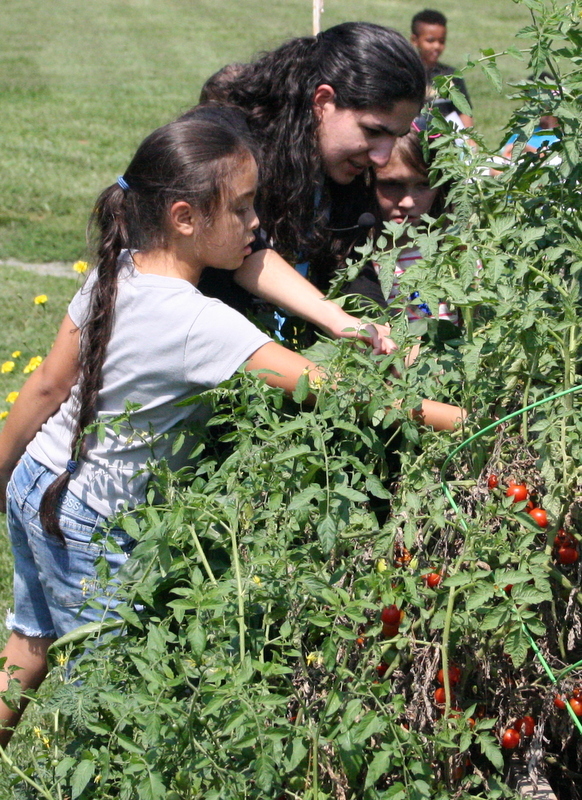 Teachers incorporate the garden into their classes and get students outside digging in the dirt and tending vegetables. For example, a 1st grade class picked fresh peppers, tomatoes, and onions to make salsa together. Students then conducted taste tests and collected data in tally charts which they utilized in math class. Creation care and gardening are integrated into the life of the school through school-wide composting and a green lunch room, and families have the chance to take home fresh produce. Families rotate taking care of the garden in the summer. We have plans to expand our garden to create an Outdoor classroom and increase our students’ hands-on involvement outside in nature. Our Teaching Garden at Lancaster Mennonite School New Danville Campus recently won a “Plentiful Harvest” award from Lighten Up-Lancaster. Lighten Up-Lancaster supports school and community gardens. 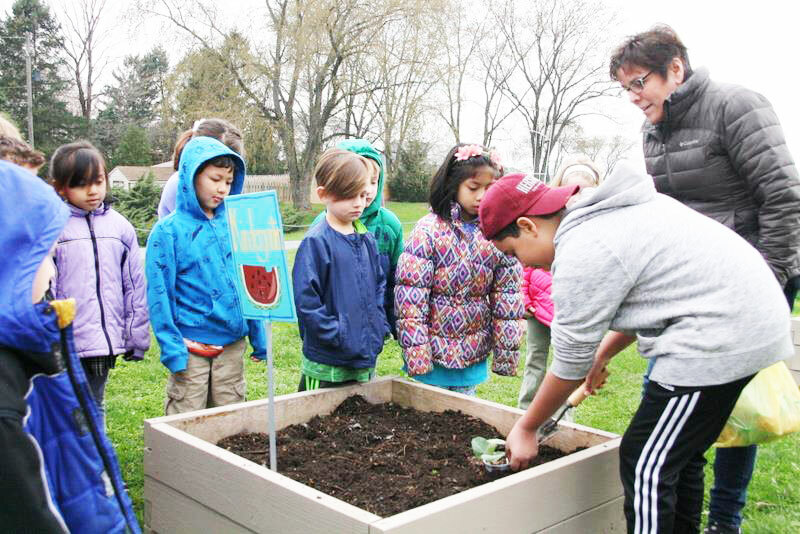 At the end of our last growing season, all the school and community gardens responded to a survey from Lighten Up-Lancaster, which was used to produce a “Garden Report Card.” The New Danville Campus was informed that its teaching garden had the highest grade among participating gardens. One of the items on the report card was whether the school had a composting program, which the New Danville Campus does. Leadership students in the Blazer Buddies™ program manage the school’s composting initiative.